Could Metal Gear Solid: Rising be the start of a whole new series? The world of Metal Gear Solid is a pretty elaborate place, filled with all kinds of behind the scenes plotting and scheming, not to mention giant robots and soliloquy loving soldiers. It would be pretty easy to assume that the cut-tastic Metal Gear Solid: Rising is just a side story, exploring one of the corners of that world we haven't seen yet, but according to Shigenobu Matsuyama, the game's producer, it's a lot more than that. "MGS Rising is not a side story," he said during Entertbrain's latest Midnight Live 360 webcast. "We're aiming for two Metal Gear Solids, making a series out of another standard." 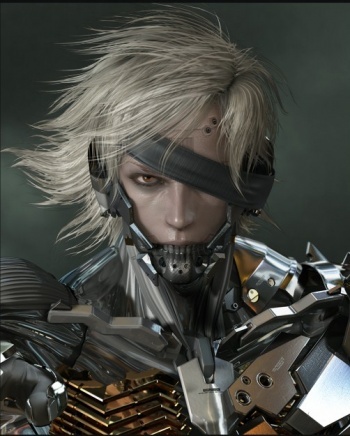 Matsuyama reiterated the point that MGS: Rising was set between Metal Gear Solid 2 and Metal Gear Solid 4 - presumably telling the story of how Raiden went from a fresh faced rookie to an emotionless cyborg ninja - and said that Raiden was chosen as the game's star because he gelled nicely with the game's "cut anything" concept. I must admit, I hope that Rising does well enough to warrant a sequel, partially because I like the idea of its very detailed melee combat, but I also want to see how elaborate the name is going to get. How does Metal Gear Solid: Rising 3 - Shadows of the Patriots sound?